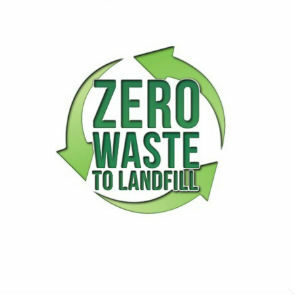 Film City Glasgow is pleased to announce that we are ZERO waste to landfill! We have achieved this by switching our general waste bins to recycling bins - a simple enough task in theory, but we couldn’t have done it without the involvement and support of our tenants - well done to everyone! As a reward for this reduction, our waste service providers (William Tracey) are burning the rest of our general waste to create fuel, meaning that we are now zero waste to landfill. We are committed to reducing and recycling as much as possible, and we encourage all our tenants and visiting companies to think carefully about waste production other than the general day to day waste. We encourage productions to contact organisations that will recycle or re-use things like old IT equipment, scrap metal or white goods. If you are looking for more information on being sustainable whilst on production, you can download our specially created PDF on our Programme for sustainability page.